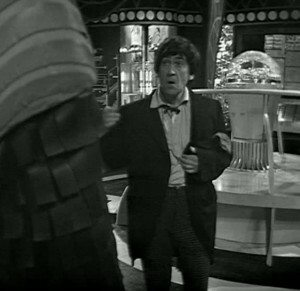 The Dominators is a five part story of popular sci-fi show, Doctor Who, starring Patrick Troughton. The Doctor and his companions, Jamie and Zoe, land on the planet of Dulkis to find the Dominators and the Quarks, their robotic servants, enslaving the peaceful Dulcians. Can the trio help the natives and prevent the Dominators from destroying the planet? Patrick Troughton (The Omen, Hamlet) stars as the second Doctor alongside Giles Block (Me and Orson Welles, Armchair Theatre), Wendy Padbury (Freewheelers, Crossroads), Frazer Hines (Huntingtower, Emmerdale) and Arthur Cox (Aria, Hope and Glory). The production visited Wrotham Quarry which doubled as the surface of Dulkis. Wrotham Quarry is located in the Addington and was formally known as Olley Sand Pit, used for producing sand for the glass industry. The Quarry is still active today and part of Hanson Aggregates. The Tonbridge and Malling area has been chosen as a film location by productions including Great British Railway Journeys (2014), Missing Series Two (2010) and Cape Wrath (2007). Doctor Who: The Dominators was first shown in 1968 and is now available to buy on DVD. 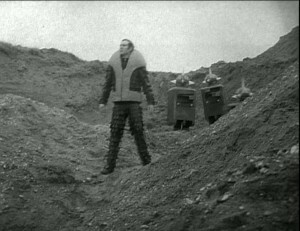 This entry was posted in Filmed in Kent and tagged Doctor Who - The Dominators film locations, Patrick Troughton, TV Drama, Wrotham Quarry. Bookmark the permalink.